Near fine in Near fine jacket. 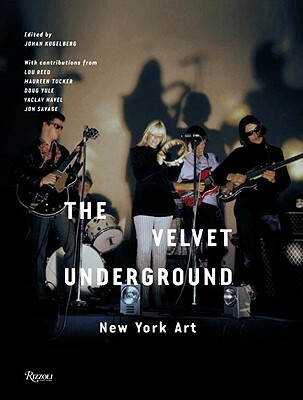 "From previously unseen photographs of the band's first live performance in New York to Andy Warhol's cover and poster designs, Lou Reed's and John Cale's handwritten music and lyrics, underground press clippings, and controversial reviews-and including photographs by Paul Morrissey, Adam Ritchie, Billy Name, Lisa Law, and Jonathan Richman-the materials here comprise a comprehensive survey of the life and work of the first rock group ever to transcend the genre and embrace underground popular culture." Quarto. Original gray boards, with silver stamping. Minor bump to the fore-edge of the front board, with some mild fading to the rear panel; else near fine.